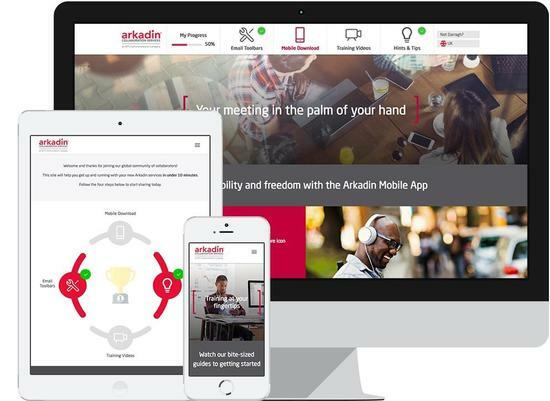 LONDON, UNITED KINGDOM--(Marketwired - Apr 26, 2017) - Arkadin, an NTT Communications company, and one of the largest and fastest growing providers of Unified Communications and Collaboration solutions, has introduced a new tool that is driving higher levels of adoption for its services, and significantly shortening the time from deployment to everyday usage. Custom built for the digital workplace, SmartStart is an online portal designed to get users up and running in less than 10 minutes allowing organisations to minimise business change disruption. "One of the biggest headaches faced by IT is getting their people to use new services," says Nikki de Kretser, Arkadin Vice President of Marketing. "We decided to tackle this problem head on through an online portal that makes it simpler and faster to get users activated and productive. SmartStart has everything required for the onboarding journey in one easily accessible place that can be accessed from any mobile device and personalised based upon each end-user's preferences. It's a game changer for our customers." In the beta trials for Arkadin's recently launched digital meeting space, adoption rates toppled industry norms: "Average end-user adoption rates reached 40%. This is very significant considering the average for similar video conferencing services is a paltry 24% and our users were able to onboard in less than 10 minutes. SmartStart played a critical role in this increase," continued de Kretser. The easy and intuitive four-step onboarding portal is powered by Eloqua, Vidyard and the open source Orchard CMS. In addition to the new ArkadinVision digital meeting service, which is currently available in Europe and will be rolled out in North America and Asia later this year, SmartStart will also be available with ArkadinAnytime audio conferencing and ArkadinAnywhere web conferencing. Arkadin's digital workplace strategy also encompasses comprehensive change management consulting services for large businesses with complex deployments. "While our cloud-based UC technologies eliminate many barriers to adoption compared to on premises services, getting users to actually change their behaviours is not a 'one size fits all' strategy. Our service professionals develop comprehensive programs to meet the deployment needs of each of our enterprise clients for achieving high levels of productivity and ROI," says de Kretser. \"One of the biggest headaches faced by IT is getting their people to use new services,\" says Nikki de Kretser, Arkadin Vice President of Marketing. \"We decided to tackle this problem head on through an online portal that makes it simpler and faster to get users activated and productive. SmartStart has everything required for the onboarding journey in one easily accessible place that can be accessed from any mobile device and personalised based upon each end-user's preferences. 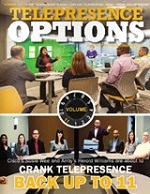 It's a game changer for our customers.\"
In the beta trials for Arkadin's recently launched digital meeting space, adoption rates toppled industry norms: \"Average end-user adoption rates reached 40%. This is very significant considering the average for similar video conferencing services is a paltry 24% and our users were able to onboard in less than 10 minutes. SmartStart played a critical role in this increase,\" continued de Kretser. Arkadin's digital workplace strategy also encompasses comprehensive change management consulting services for large businesses with complex deployments. 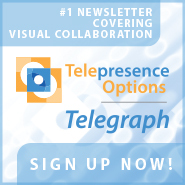 \"While our cloud-based UC technologies eliminate many barriers to adoption compared to on premises services, getting users to actually change their behaviours is not a 'one size fits all' strategy. Our service professionals develop comprehensive programs to meet the deployment needs of each of our enterprise clients for achieving high levels of productivity and ROI,\" says de Kretser.